Spring/Summer 2016 can be described as a season of reinvention; periods of time, wardrobe staples and patterns were all rejuvenated. The 1970s & 1990s had a huge impact on the catwalk trends, the simple white shirt was brought back to life and gingham & pink were given a modern makeover. 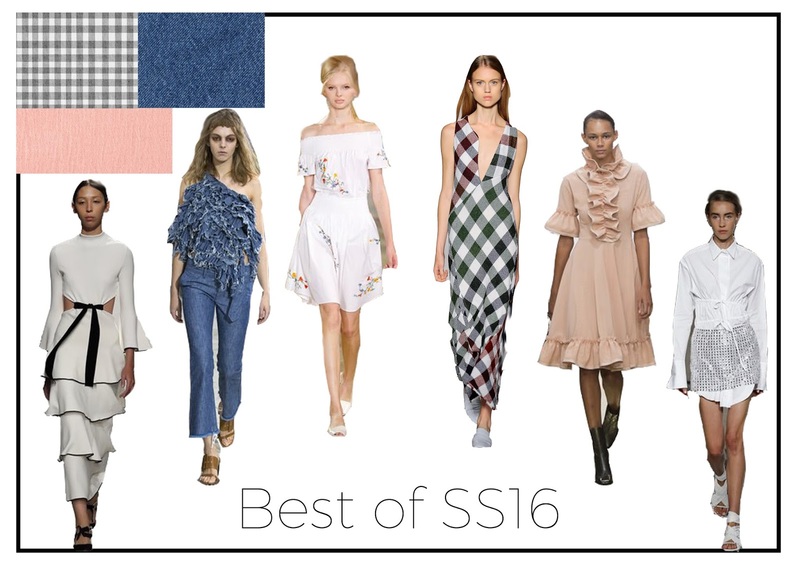 These are my favourite trends of Spring and Summer 2016. Deriving from the overall romantic feel of SS16, pink made an almighty comeback thanks to Alexander McQueen and Simone Rocha. Unlike many 12 year-olds who insist they are too old for something so 'girly', we embraced the colour completely with head-to-toe pink featuring in a lot of Street Style. 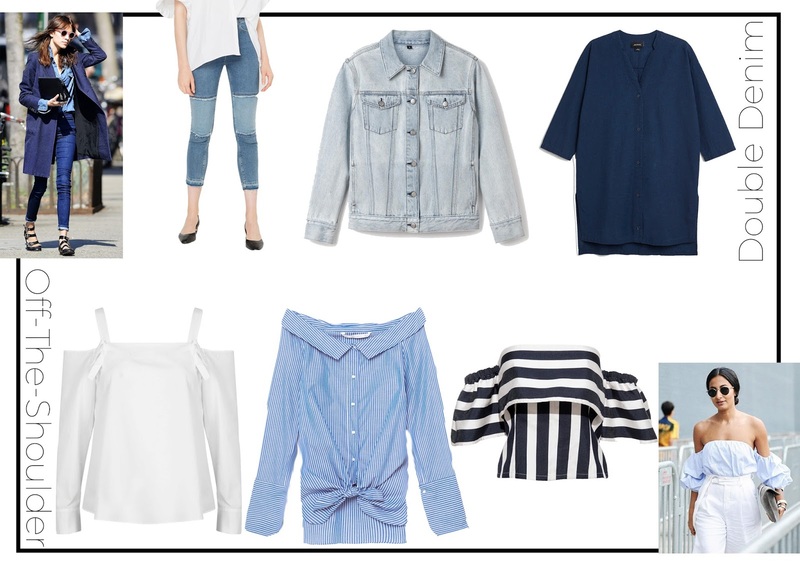 Marc Jacobs and Lanvin gave the humble, and sometimes overlooked, shirt a new lease of life this season. The knot, found at the waist or bust line, added interest and definition whilst also giving the shirt an almost urban, casual feel. Double denim was the epitome of 90s fashion. We might have laughed at Britney and Justin but we're all wearing it now. Luckily for 2016, Alexander Wang showed us the trick was to wear different tones and textures, mixing skin tight indigo with frayed bleached denim. This trend did not have a subtle beginning. 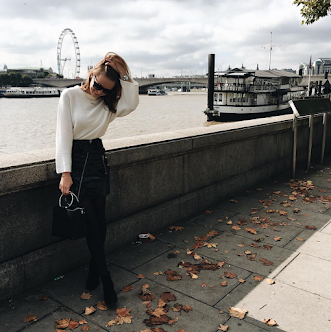 It seemed one day no-one knew of it and then the next everyone on Instagram was obsessed with off-the-shoulder dressing. As seen on the runways of Peter Pilotto and Provenza Schouler this trend came in different forms including dresses and shirts. 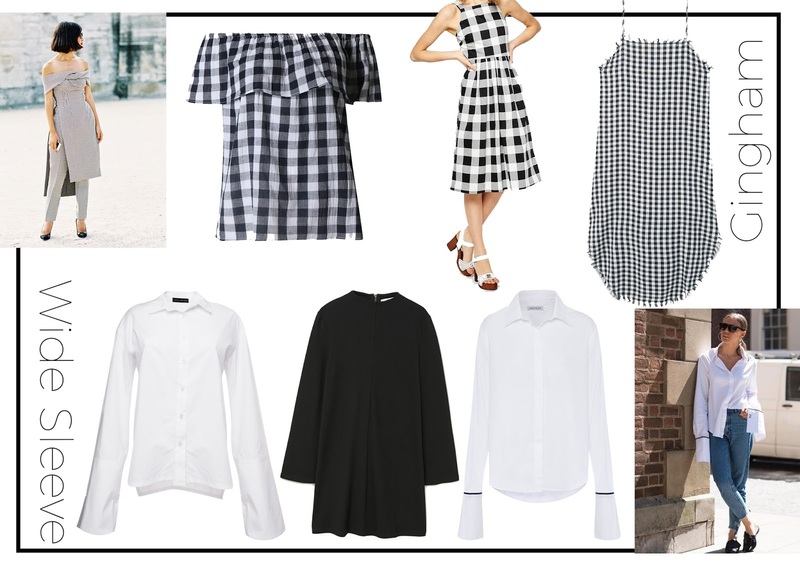 Gingham was given a grown-up makeover by Stella McCartney and Victoria Beckham for SS16. The print was used on laid-back, simple silhouettes to juxtapose the busy pattern giving it an overall more relaxed feel. Loved by bloggers, this very British design was given a high-fashion restoration. Most popular as a Street Style trend, rather than a catwalk trend, the wide-sleeve became a must-have after being seen on the people entering the shows. Since February this trend has exploded; so much so a Fashion Editor has begged not to see another one, not that it's stopped us from buying more! What was your favourite trend of Spring/Summer 2016? Rest of the Summer Edit Series: The Swimwear List, The Investment Pieces, The Jewellery List, The Shoe List, The Everyday Dress, Mid-Summer Sales and Last Minute Holiday Essentials.